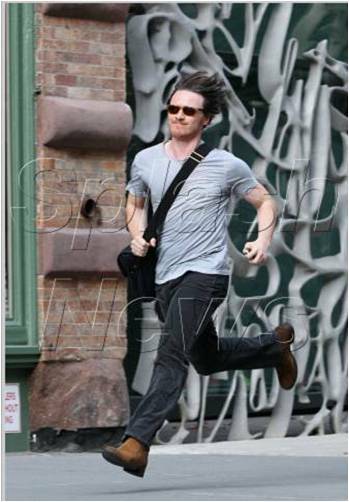 James McAvoy rocked Earnest Sewn while filming his new movie, The Disappearance of Eleanor Rigby: Hers in NYC. The actor looked cool as he sprinted down the streets for a scene in his Earnest Sewn Ralf tee in Acid Cloud, $58. This entry was posted in Apparel Industry, Celebrities, Clothing, Mens Fashion and tagged apparel, celebrity, Earnest Sewn, fashion, James McAvoy, July 2012, men's fashion. Bookmark the permalink.